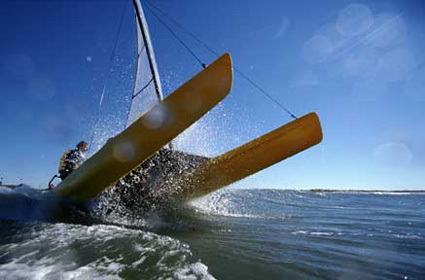 A 16 foot polyethlene catamaran. Designed by Melvin and Morelli the same design team as PlayStation! Length 5.1 m / 16' 7"
Width 2.1 m / 7"
The rights to the design were sold to Nacra.